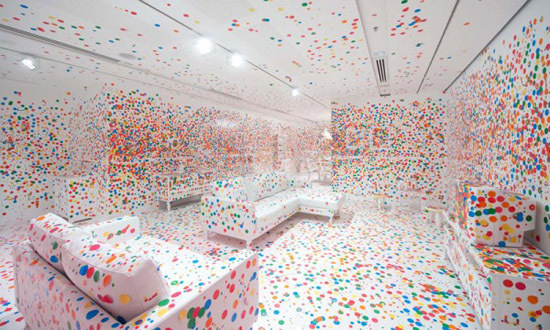 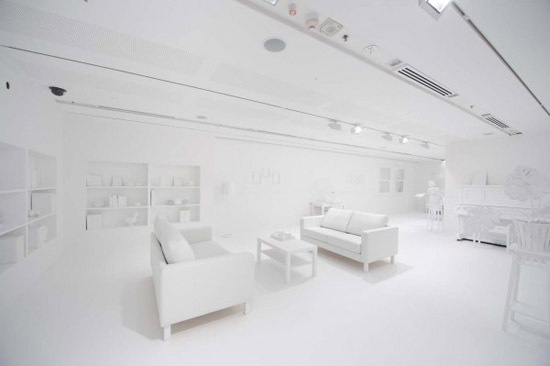 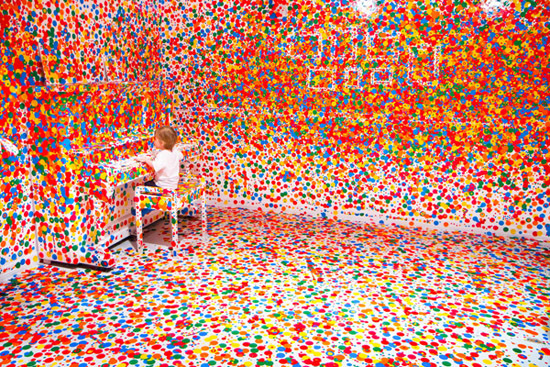 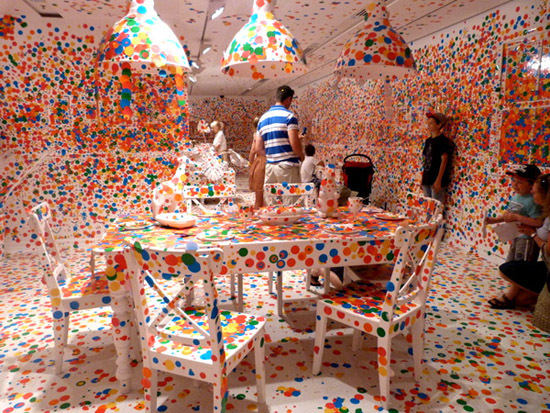 In December, at an inter-active installation for the Gallery of Modern Art in Brisbane, artist Yayoi Kusama created a brilliantly white environment (a blank canvas) where over the course of two weeks children who visited were given thousands of coloured dot stickers and were invited to collaborate in the transformation of the space. 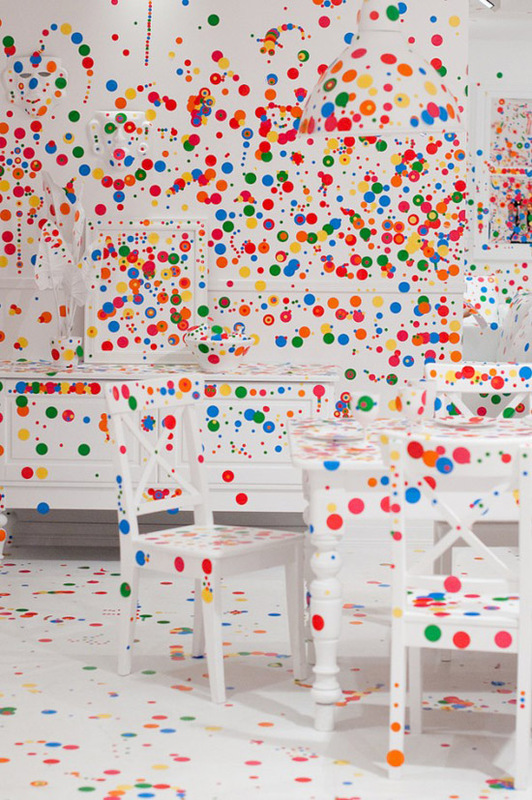 The installation, entitled The Obliteration Room is part of Kusama’s Look Now, See Foreverexhibition that runs through March 12 in Brisbane. 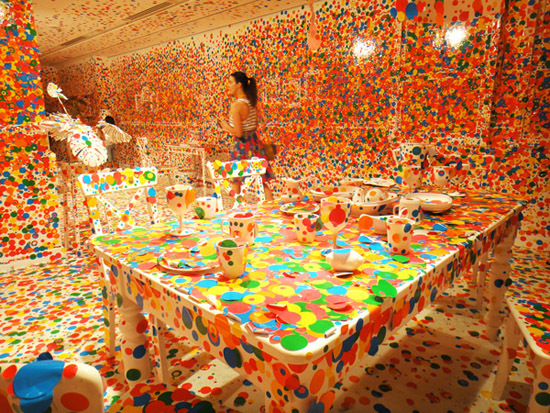 (Via stuart addelsee, sccart, andheybubbles and colossal). 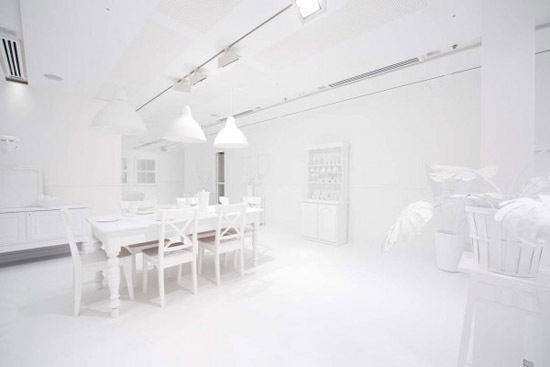 Via The New Domestic.